Ross Design™ & Engineering, Inc. offers a full line of fork extensions for use in the material handling field. 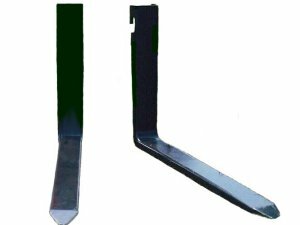 We manufacture fork extensions from 42″ long up to 144″ long, width varies based upon length and requirement. The easy attachment design makes change over time fast and efficient.